Big thanks to my lovely Miss Nerline from Chic from Hair to Toe for nominating my blog to receive the Very Inspiring Blogger Award. It means a lot to me and the fact that I do inspire you makes me feel more honoured. Also a big shoutout to all my lovely followers and readers for your daily support and taking your time to read my posts and share your opinion with me. - List the rules and display the award. - Nominate 15 other blogs and comment on their posts to let them know they have been nominated. 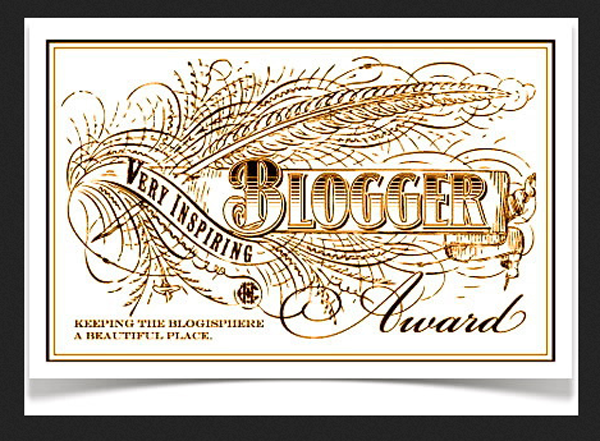 - Optional: Proudly display the award logo on your blog and follow the blogger who nominated you. 1) Don't laugh at me but I love Disnep movies. From Cinderella to High School Musical. It's been my daily supporter during my young ages. 2) I love everything spicy esp. mexican and african food but I also have a favour for asian food. 3) Ugh but I hate cheese, except on pizza burgers. 4) I really want to live in America in future. 5) I hate the fact that I grew up with german instead of english. It would make everything easier. 6) I'm a sucker for chocolate, candies basically all sweets! 7) I'm not a party girl. My bed and I built up a very close relationship so aint nobody gone change that.